A stem cell is an undifferentiated cell, able to renew itself, differentiate into other cells, and grown in culture. 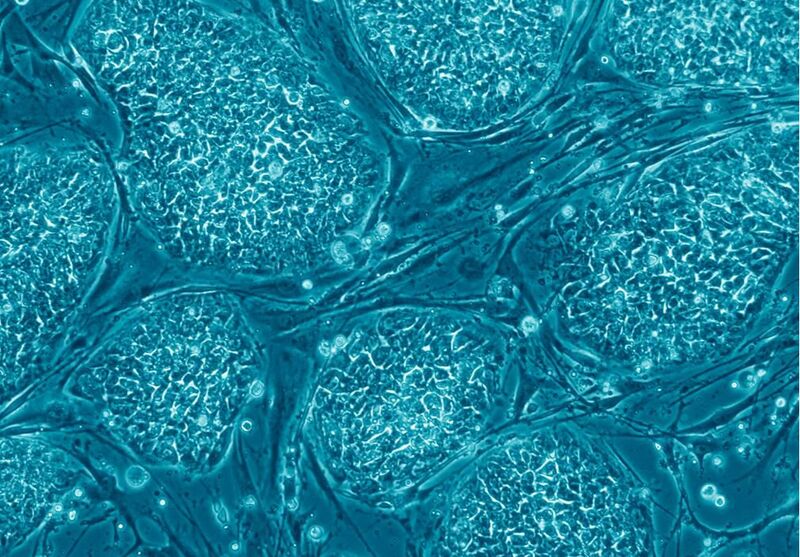 Stem cells are either obtained from an embryo, foetus, or adult cells, and can also be obtained by nuclear transfer. - multipotent stem cells (foetal and adult cells) which can produce several types of cells such as myeloid stem cells from the bone marrow which give rise to blood cells (erythrocytes, monocytes, granulocytes etc.). - totipotent stem cells, cells obtained from the first division of the fertilised egg (up to day 4) which are able to give rise to all types of body cells and which are the only types which allow an individual to develop fully .